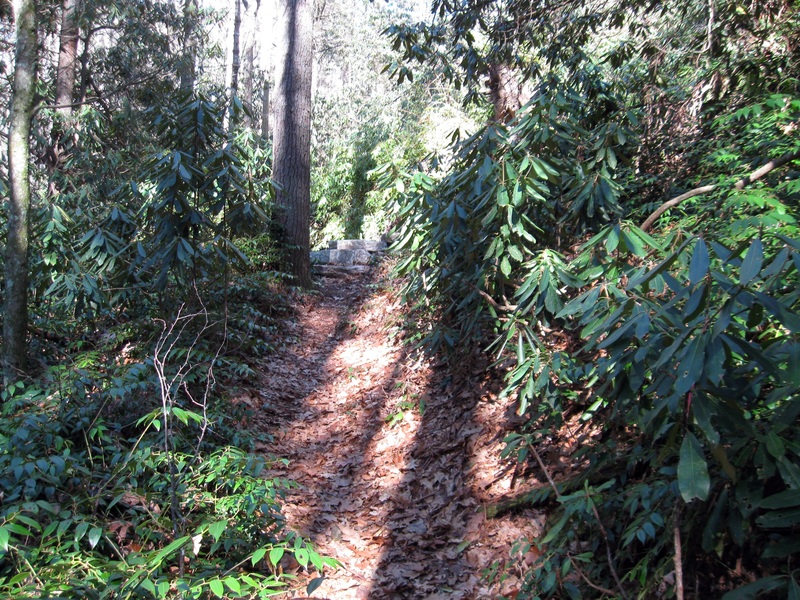 The Highlands Plateau Greenway is a network of continuous walking trails that connects the natural areas and historic sites of Highlands, NC. It is designed to enhance educational and recreational opportunities on the Highlands Plateau. 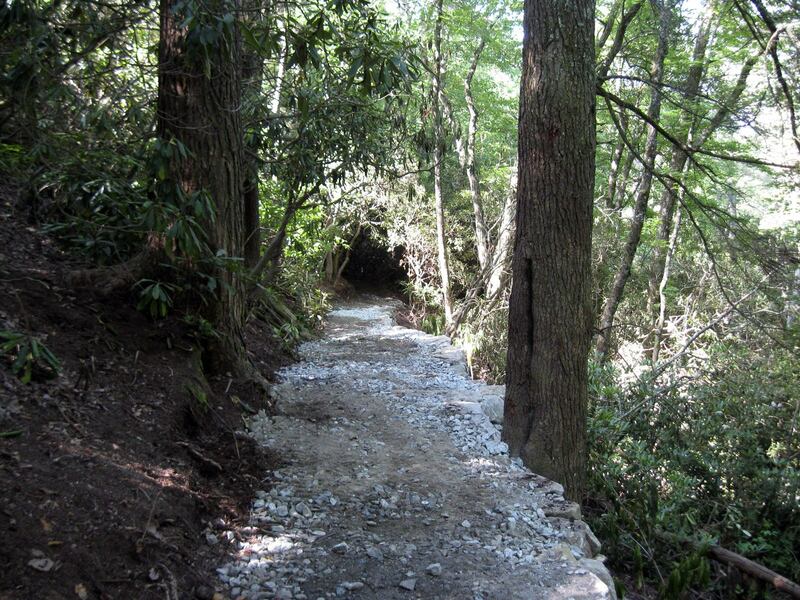 Location: A network of trails and roads within the Town limits of Highlands, NC, On and off-road trails connecting downtown Highlands to Mirror Lake, the bear Pen, Highlands Botanical Gardens, and Sunset Rock. Many access points are available from the commercial center to points of interest within the town limits of Highlands including downtown Highlands to Mirror Lake, the Bear Pen, Highlands Botanical Gardens, and Sunset Rock. What sets the Highlands Plateau Greenway apart from other trails are these unique environmental features upon which the Greenway's trail system is superimposed, with opportunities for recreation, education on regional and natural history, art, and conservation for the Town's tens of thousands of residents and visitors. The Greenway connects established trail systems within the Town, allowing users to visit sites of special interest without the use of motorized vehicles through tracts owned by Greenway Partners: the Town of Highlands, Highlands Biological Station, Highlands-Cashiers Land Trust, and Bascom Center for the Visual Arts. In the future, the Greenway will also connect to Nantahala National Forest hiking and biking trails immediately adjacent to the town, and the Bartram Trail, an historic backcountry trail that connects with the Appalachian Trail. The Greenway is intended for foot traffic only and its trails are rated as easy, moderate or difficult to indicate health and fitness opportunities for all user levels. Youth organizations such as the Highlands Girls Club, Boy Scouts, Eckhardt Campers and Americorps have learned trail construction techniques through Greenway volunteer programs. The Highlands Biological Station's Nature Center shares the Greenway's trail system through the Station's 25-acre Botanical Garden, which it uses extensively for science programs, serving diverse communities and urban populations with its over 15,000 annual visitors. 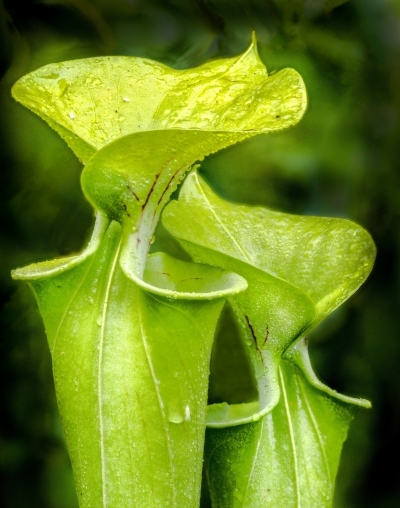 Because of the unique environment in Highlands, the Greenway has made landscaping with plants native to the southern mountains a major focus and has been especially innovative in revegetating newly-constructed areas with natives. Trail construction is guided by principles used by the CCC that leads to longer trail life and enhanced aesthetics with its pinned cribbing, large rock steps, stable trail grades, and rock treadways that use local area rock. 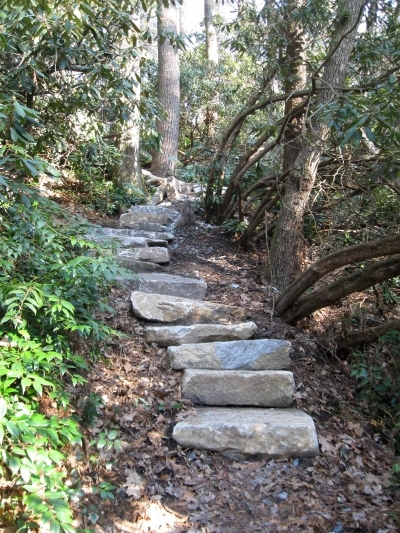 Steps on loop trail. Photo by Hillrie Quin. Rhododendren Park Trail. Photo by Hillrie Quin. Greenway Loop trail. Photo by Hillrie Quin. Entwined. Photo by Debbie Biddle.